It’s hard to imagine life without the Internet. What’s more intriguing is how quickly much of the world has not only come to depend on it, but in many ways become addicted to constant access and take it for granted. Having almost every fact, detail, speck of information and constant contact with friends at one’s fingertips is a technological feat arguably greater than any other in history. In 1998 I got my first email account prior to a three-month trip to South America. Hotmail was the game in town and I signed-up to stay in touch while on the road. The idea of not having to mail a letter or visit General Post Offices along the way to receive mail from friends and family seemed implausible. I wasn’t sure if it would actually work. The real challenge was finding Internet cafes, which were scarce, connections timed out often, but low and behold I stayed connected in more or less real-time. Lonely Planet guidebook in hand we made our way through Argentina, Chile, Bolivia and Peru, turning its pages multiple times per day, putting complete faith in what many travelers referred to as ‘The Bible’. Just as the Internet is now a tool I can’t imagine living without, so is the traditional guidebook. But its days as we know it may be numbered. 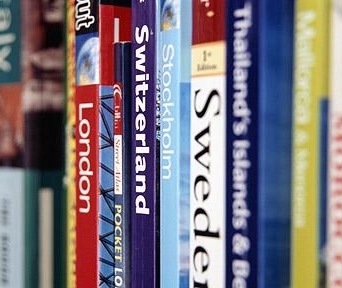 A March 2013 BBC story titled Is this the end of the guidebook? put forth the very idea, coinciding with their recent sale of Lonely Planet to American company NC2 Media for £50m. In 2007 the BBC bought the publishing house for a record-breaking £130.2m. Many questioned the price and it seems they did indeed overpay. The question now is not only how can its new owner make his money back, but if printed guidebooks will even have a place in our backpacks in years to come? While an avid fan of computers, the owner of a MacBook Air, iPhone, iPod and Kindle, I’m still very much endeared to holding a real guidebook in my hand when traveling, turning its pages, folding corners of important ones, making notes, and enjoy watching it age. Creases form on its cover as a trip unfolds; it becomes weathered much like an old man’s face whose character and years of experience instantly shine through upon site. The physical state of one’s guidebook is in many ways a testament to the journey taken, how fun it was, a reminder of challenges faced and an instant reminder of roads traveled. Will this sentiment have a place in our hearts should digital guidebooks take the place of traditional printed ones? A surprising fact is none of the big players in travel publishing seem to have successfully made the jump to useful digital versions leaving a void and opportunity for a number of new players to grab travelers’ attention. One would think taking printed content, digitizing and laying it out in an easy to digest format wouldn’t be too tough for publishing giants but it’s been just that. 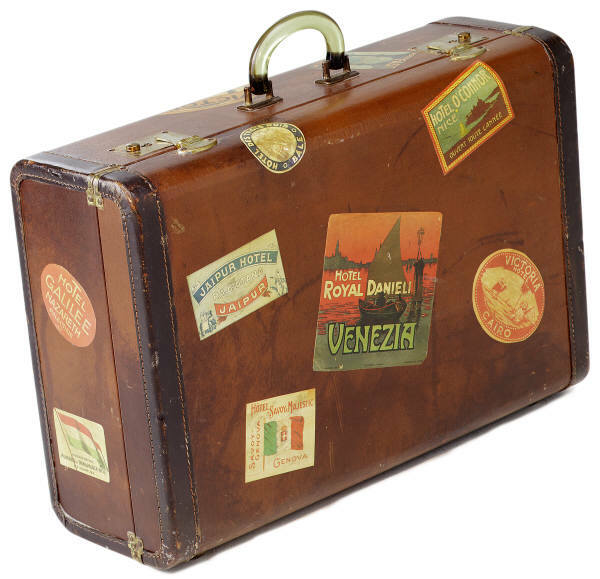 No one traditional travel publisher has made a successful transition to mobile versions. Travelers are now polling a range of online sources when planning their trips and more importantly doing so while on the road. Guidebooks are outdating themselves at lightening speed, bloggers are leaving daily comments and updates on travel forums and free Wi-Fi hotspots are popping up from Santiago to Saigon. Getting travel information and advice has never been easier, from a vast range of sources, writers and travelers, but who they are and their legitimacy poses a trust challenge. Almost everyone with a digital device and Internet connection is now a ‘travel writer’. There’s little to back up their experience, authority or know if they’re writing from the heart or on behalf of a restaurant, hotel or tour operator. Sifting through random sources, compiling details and finding a method to keep them in one easy to access spot when not connected to the Internet is still a challenge. 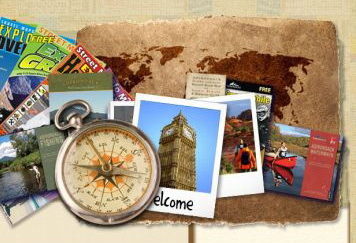 While these new sources of up-to-the-minute travel advice are miraculous and a boon for travelers, for the time being it seems traditional printed guidebooks, with their all-in-one-spot format, and more importantly trusted reputation, will continue to dictate what path we take and beds we sleep in for at least a few more years.